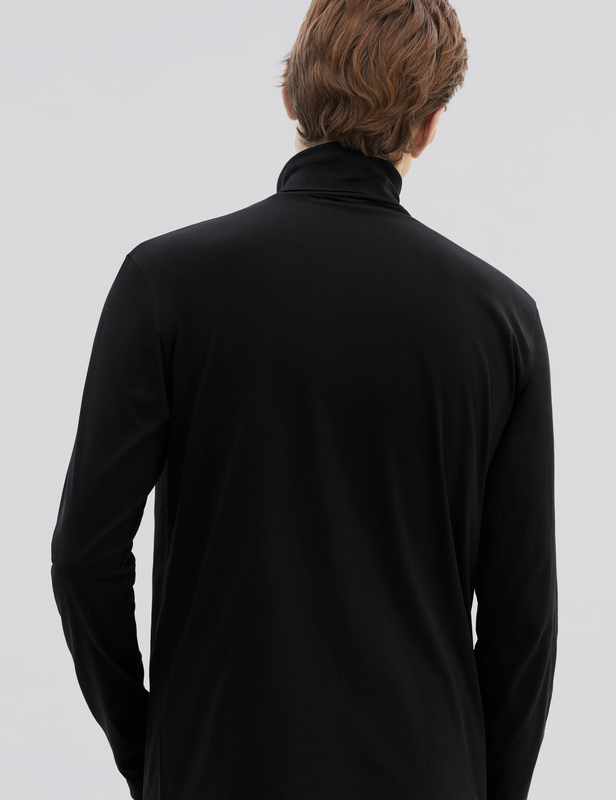 Crafted from our premium lightweight jersey cotton fabric with the finest materials and meticulous attention to detail. 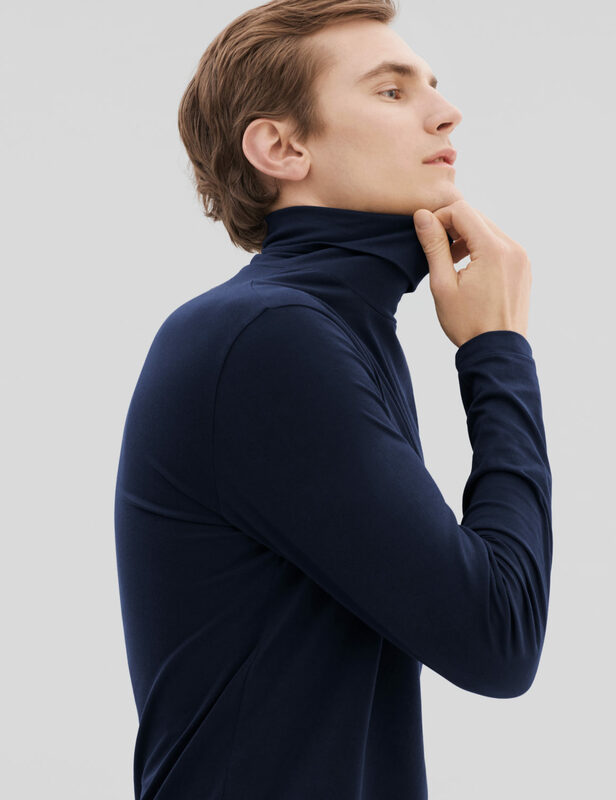 Our Rollneck (“Turtleneck”) can be worn comfortably through most of the year. 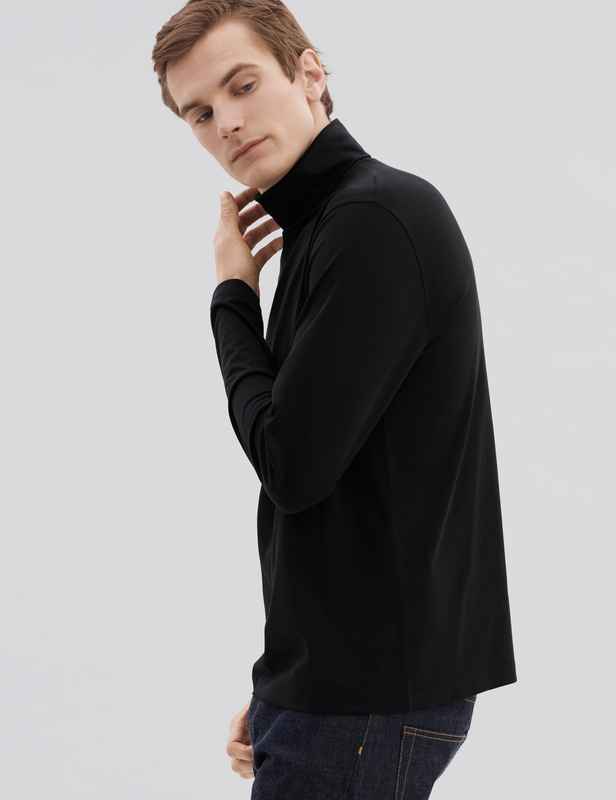 Highly versatile and timeless, perfect for layering under a blazer, shirt or sweater. 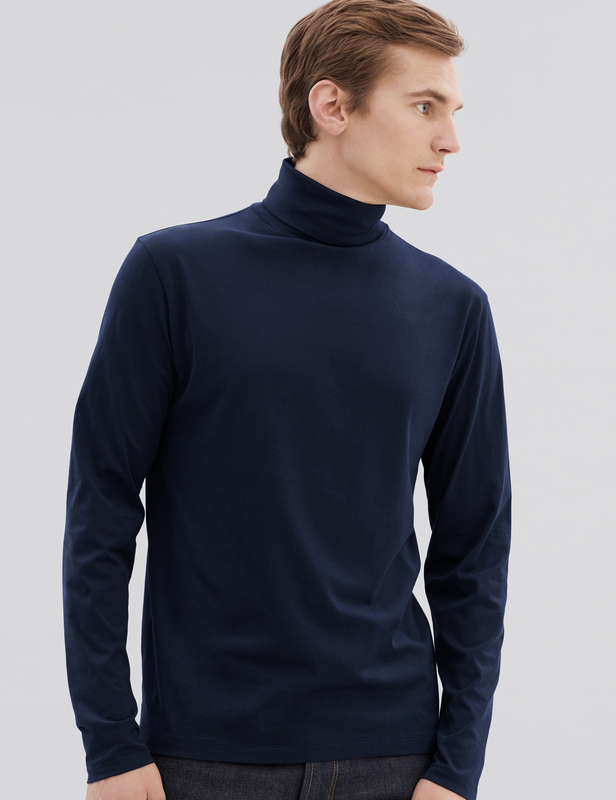 The classic Dark Navy and Black shades will go with most items. Made from our premium lightweight jersey fabric — superfine two-fold (80/2) yarn made from the finest extra long staple Peruvian Pima cotton.